United Kingdom (U.K.), China, and Togo, increased their import of crude oil from Nigeria in the month of May 2017, according to import destination report of the Nigerian National Petroleum Corporation (NNPC). Giving a breakdown of oil export to the three countries, NNPC’s data showed that U.K., which did not buy Nigeria’s crude in March, increased its import from the 999,006 barrels in April to 6,016,121 million barrels in May. Also, China, which stopped buying Nigeria’s oil for over a year, resumed with the import of 928,466 barrels in January this year, took 1,950,426 million barrels in May. 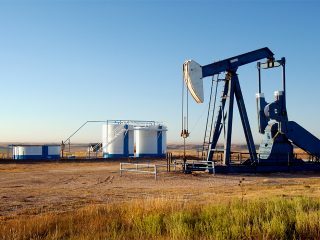 Togo, which was not a major crude buyer from Nigeria in the past one year, suddenly became one of the country’s favourites among Africa countries, as its import increased from 954,643 barrels in January to 6,704,417 million barrels in May. In all, Nigeria exported 106,944,417 million barrels in May, with countries like Cameroon, Thailand, Malaysia, Portugal resuming import from the country. 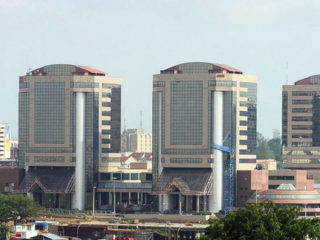 The Corporation explained that a total volume of 61.70 million barrels of crude oil, and condensate was lifted in May by all parties, out of which 21.07 million barrels was lifted by NNPC on behalf of the Federation. “This comprises of 16.09 million barrels lifted on the account of NNPC (Domestic and Federation Export), while 4.84 million barrels and 0.01 million was superintended for FIRS and DPR respectively. “Of the 16.09 million barrels lifted on the account of NNPC in May 2017, 12.61 million barrels and 3.48 million barrels were for domestic and export markets respectively. At an average oil price of $50.69/barrel and exchange rate of N304.85/$, the domestic crude oil lifted by NNPC is valued at $639,112,107.85 or a Naira equivalent of N194,833,326,077.46 in May 2017. 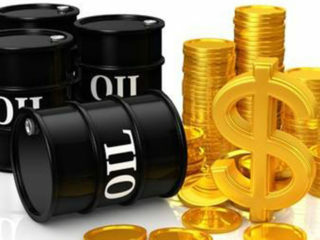 “The remaining crude oil lifted for export (JVCC) was valued at $175,461,727 at an average price of $50.44/barrel. The total value of crude oil lifted on the account of NNPC in May 2017 was thus $814,573,835. From May 2016 to May 2017, a total volume of 685.80 million barrels of crude oil and condensate was lifted by all parties,” it added. Speaking on the oil export, the Managing Director, NNPC Trading Limited, Ibrahim Waya, said the Corporation has set the necessary machinery in motion to expand crude export to more countries. He disclosed: “We are currently negotiating with Pertamina, Indonesia State Oil Company, and we are also in talks with them for supply of Nigeria crude oil grades. We have started discussing with Serak Refinery in Congo Republic, because they have undertaken an expansion programme in their refinery that would see they take an additional 500,000 barrels per day of crude, and we want to take up that contract.